All of you mate puritans out there will probably curse me for this, but today I would like to suggest a brand new aggregate for your mate. We all know that roses are red and mate is bitter, but sometimes it pays off to take a stride down a different road and see what lies ahead. For those of you who follow this blog, you may already know that I presently live in Shanghai. It is not the most mate friendly place in the world, but in some ways it has contributed a lot to my matetivity (mate + creativity). The reason being that necessity is indeed the mother of all improvisions and trust me…here you HAVE to improvise. I have always been a great fan of Chinese cuisine and I often describe it as being awfully Multi-Dimensional as opposed to our 1 dimensional recipes in the West. You see, western dishes are either sweet or sour or salty. A well prepared Chinese dish, however, will take you from sweet to sour and from salty to spicy in just a couple of bites and one prominent ingredient in most of these dishes is, of course, ginger. Don’t get me wrong, I like my mate to remain as criollo as possible, but I admit that I have been experimenting quite a lot lately. One of such experiments happened sometime last year. The winter in Shanghai can be surprisingly brutal and I ended up catching a pretty nasty cold. I remember my good old grandma was always talking about how ginger and honey were good medicines for cold. Or perhaps it was honey and lemon? Or even perhaps ginger and brandy?!? Well…I don’t remember anymore, but I did have ginger at home, so I thought: Ginger and mate? What the hell! Long story short, I was pleased with the result and I think you might be too. Mate and ginger, how to? The idea is quite simple, really. Just cut a few thin slices from a ginger root. The slices should be about 1 cm wide. After that, place most of the slices at the bottom of your mate and use the few remaining ones to scrub around the inner walls of your mate. This will work particularly well if you have a wooden mate or gourd. 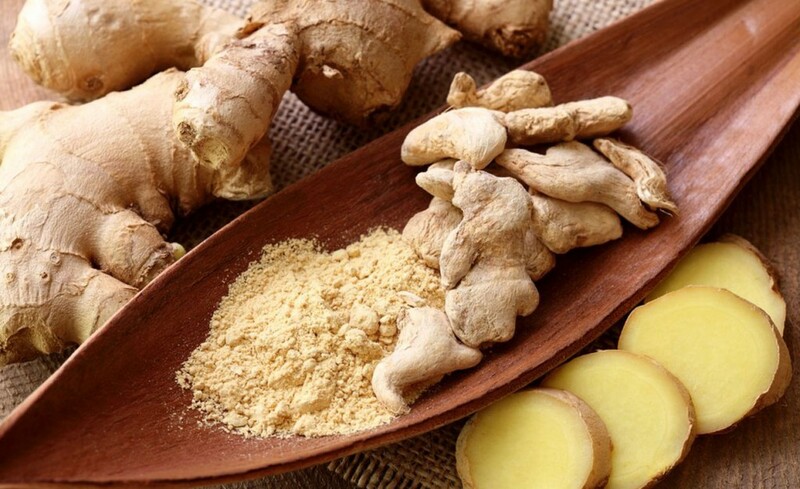 With each drinking cycle, the ginger will release it’s citric, fresh and spicy flavour right into the infusion. The result, is a radical mix, which you will either love or hate. Ginger is a very powerful ingredient and can promote a series of positive effects on the human body. It is a natural analgesic and if consumed regularly it may help prevent rheumatic and menstrual cramps. It also promotes expectoration, so its an ideal substance to relieve cold symptoms. Ginger has also been known to contain some anticoagulant action, which helps in the prevention of cardiovascular disease and stroke. Finally, ginger has effects on the nervous system. It is a natural stimulant, which makes it a natural antidepressant and also has aphrodisiac action. Its great against premature aging and reduces stress levels. One downside to ginger, is that it does raise your body temperature. So its not recommended if you are suffering from fever. So this is how I prepared my mate and ginger infusion. You are welcome to try it in different ways and post the results in the comments below. Enjoy!